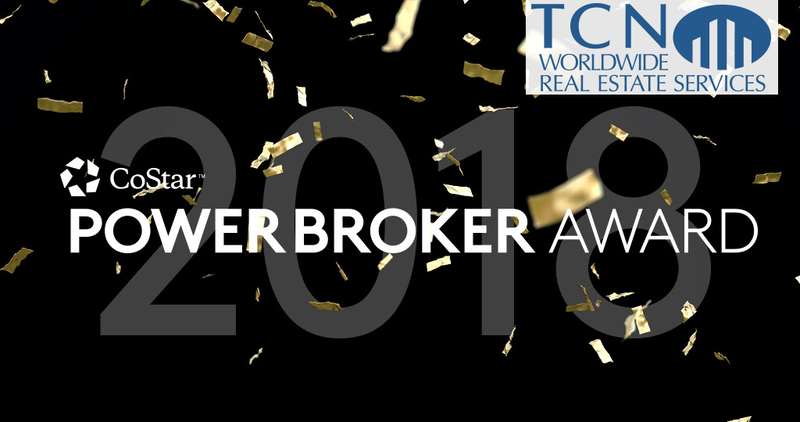 Each year, CoStar Group recognizes the top commercial real estate brokerage firms and brokers with its prestigious Power Broker Awards. We are proud to announce the TCN Worldwide member firms and brokers that were recently recognized by CoStar. Congratulations! Every year CoStar Power Broker Awards celebrates the top CRE firms and brokers in the United States and Canada. Over the past 19 years, CoStar has recognized the industry leaders for their success in the commercial real estate market. Your winning performance places you in elite company and is based on your overall transaction volume in 2018 as reported to CoStar and measured against all the active commercial real estate brokers in your market. As the largest research organization serving commercial real estate, CoStar is pleased to independently confirm and recognize the most active firms and individual dealmakers in the United States each year.